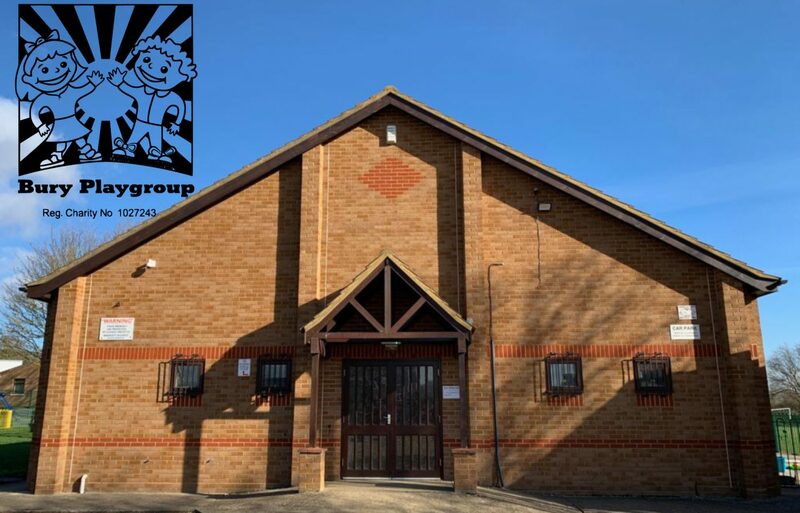 Bury Playgroup is situated in the Village Hall, Bury, which is equipped to provide a warm and stimulating environment for children. There is access to a secure outdoor play area, children’s garden and the local park. Bury Playgroup aims to provide care and education within the community to help children to grow and develop into unique individuals. Your child will be encouraged to investigate and develop through tailored and exciting activities, which will support them when they begin school. We want every child to thrive at Bury Playgroup. This is achieved by working to the Early Years Foundation Stage Framework. Activities are planned according to your child’s stage and development. The environment that we offer builds on previous learning and takes into account children’s current interests. We believe children learn through play, by offering a balance of child led and adult initiated activities and a wide range of resources we support children in their play. Children are encouraged to value themselves and others and are supported as they begin to form friendships.